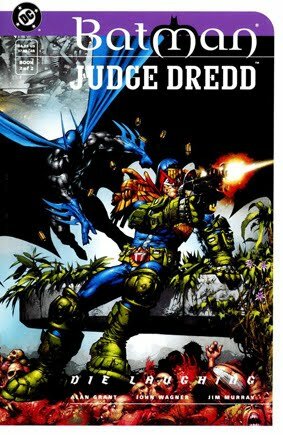 • PLOT SUMMARY: The fourth teaming of the defenders of Gotham City and Mega-City One may be the most exciting yet! 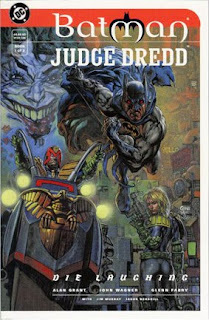 In this 2-part story, when a ghoulish duplicate of the Joker - intent on freeing the spirits of the four Dark Judges from captivity - materializes in Mega-City One, Batman and Judge Dredd must put aside their differences to prevent the carnage that will surely ensue. Cover art by Glenn Fabry.